It is in tenant’s favour to book an end of tenancy cleaning before they move out. Landlords expect to receive the leased property in the same condition stated in the move-in report, otherwise, they will deduct any additional cleaning expenses from the deposit. If you are curious to know what are the possibilities for such an outside help in Hanwell, feel free to give us a call. We are able to provide you with a professional cleaning service that includes every nook and cranny of your leased property and gives you the possibility to arrange your moving out without any stress or hassle. Our cleaners will visit you at your preferred time frame and we are certain that you will enjoy working with them. The service that we offer has no time limitation, which means that you don’t need to worry about any missed areas. In order to ensure an adequate cleaning solution to everyone, who works with us, we select carefully the cleaners in our team. For customers’ peace of mind, our current cleaning personnel is comprised of hard-working and experienced individuals. As a cleaning company committed to quality, we organise extensive training programs and supply our experts with the latest cleaning tools and detergents. 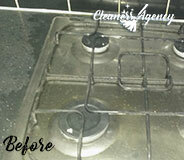 Our end of tenancy cleaning is suitable both for tenants and landlords. It includes a comprehensive cleaning of all rooms, niches as well as hard-to-reach areas. However, if the customer has any preferences regarding the cleaning process, our cleaners will change their way of working. We know that this gives peace of mind to our customers in Hanwell. 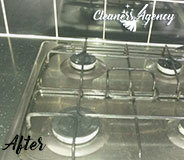 More and more tenants take advantage of our end of tenancy cleaning. Unlike other cleaning companies, we understand their individual needs and ensure an adequate cleaning solution. In addition to this, we give a guarantee for a hassle-free moving out. 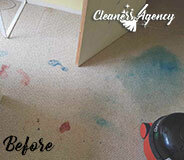 In case of any problems within 48 hours upon completion of our service, we organise a re-clean. If you are interested in booking an appointment with us, our friendly call centre agents are available to assist you every day of the week. Share your preferences and they will develop a cleaning plan accordingly. We are positive that you will find our assistance beneficial. I had a very good experience with this cleaning company. They delivered a fantastic end of tenancy cleaning service for my flat. Everything looks amazing now and the flat looks so much fresher and cosier than before. I will definitely use you again very soon. I will recommend you as well. When the cleaning tasks on your to-do list are increasing its number and the free time that you have is getting lesser and lesser, you can always try the professional help of Cleaners Agency London. We offer a wide range of cleaning services which can handle even the biggest mess and give any property or appliance a sparkling clean look. You can be sure that there is no other cleaning company in London which can fit your preferences so well and provide the most satisfying results. Don’t hesitate to give us a call anytime and we will do the tiring cleaning so you don’t have to. We hope that you will give our services a try and see for yourself how amazing we are. Not only we provide the professional help with the highest quality in London, but we also charge very budget-friendly fees. Feel free to contact us any day of the week, including the weekends. If you ever find yourself in need of a professional end of tenancy cleaning service, know that you can rely on our company unconditionally. We deliver end of tenancy cleaning to all those tenants who do not feel like cleaning or do not have the time to spare for doing it. Our services are also suitable for landlords who want to prepare the property for future occupants and represent it in a favourable light. Our services come at temptingly low rates! Do not waste more precious time and get in touch with us right away to find out more about deals. We command teams of fully trained and experienced housekeepers who are always at your disposal to give you a hand with the final cleaning. They have attended introductory, education classes to amass the knowledge and skills necessary for an outstanding performance. 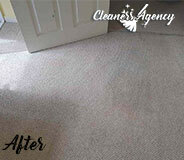 The products our cleaners make use of are of top quality. The good news is that the equipment is included in the price so our customers will not be overcharged a penny more. We are based in Hanwell where we operate all week round. Let us take care of the final cleaning for you and you will be glad you did.